Congratulations to Takarian for being today's top scorer on "Just the Facts" in First in Math. We have a goal to be 100% proficient in both addition and subtraction basic facts. 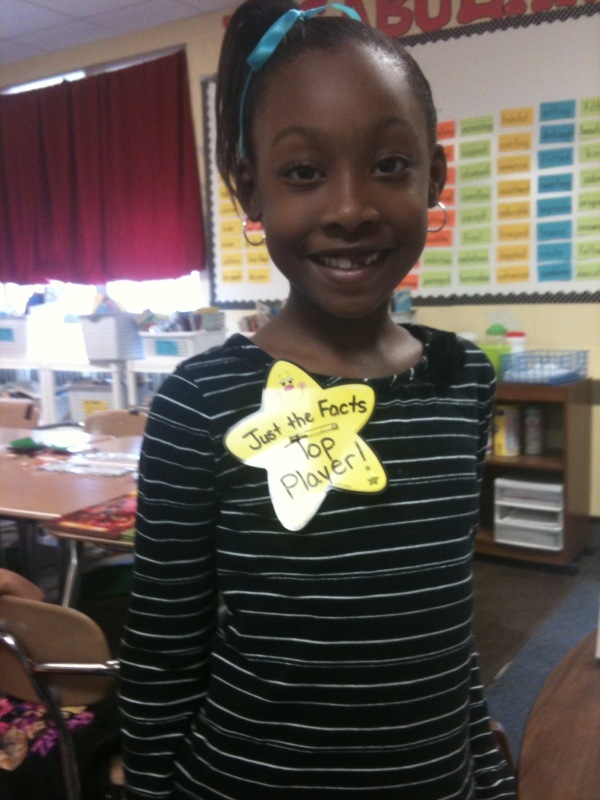 Takarian scored 96% and is in first place on her facts. Way to Go! !